What comes to the mind when you hear the word Jaguar? Yes, a super modish and lavish Land Rover stands right in front of your eyes. Jaguar, a British multinational unit is famous all across the globe for its luxurious cars. The unique make and refined look of the Jaguar cars have been captivating millions of hearts since ages. Jaguar’s cars are largely designed for the elite class. 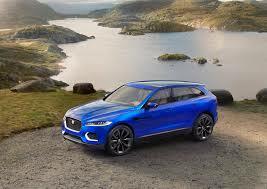 This time it is not the Land Rover that the company is going to launch, it’s the ‘Jaguar SUV’. The first look of the car was premiered at the 2013 Frankfurt Motor Show. Though the company always hesitated from bringing out a SUV but in 2012 they announced about launching a CUV (crossover). In 2013, the preview of the Jaguar C-X17 has finally stepped the company in the SUV market. This crossover model is an amalgamation of a sports car and a luxurious SUV. Though it is launched under the sports category yet its urbane looks make it a pure Jaguar. The Jaguar engineers have come up with a new architecture which is flexible and robust. Talking about the super luxurious Jaguar C-X17, it is stylish car with exclusive external and internal features. The car exteriors are novel but some of them resemble Jaguar XF and XJ. Following are the external car features of the car which makes this SUV an uncommon one. It is a four- seat car with a size of 185.7-inch length. The wheelbase of this Jaguar is 114.4-inch. It has a ground clearance of 8.3 inches. Multi-screen infotainment system- This feature enables the rear seat passengers to share audio files, photos and videos with the passengers sitting in front on several social media apps. The superior interior looks of the Jaguar C-X17 are eye catchy and are sure to lure the car lovers. This concept car gives you an experience of a sports car with an enhanced and flexible driving experience. Jaguar C-X17 will be launched in 2015 in markets all across the world. Jaguar’s management has high hopes with this new launch and claim that the car is for the global audience.